How can programs encourage wider use of expertise and solutions - to policy makers, development partners and investors? Over the past 40 years, development programs supported by public funds have invested billions to develop and test solutions for food security, public health, and local economic development. These innovations improve the lives of people in the world’s low and middle-income countries – in Asia, Africa, the Middle East, and Latin America. Thousands of program results are freely available. But today much of this expertise cannot be easily seen and used by policy makers, development professionals, or local populations. Smart solutions, tools and approaches that can improve the lives of millions are buried in reports – forgotten when projects close. Know-how and innovations are hidden in hundreds of peer reviewed research papers. To be truly effective, this expertise needs to be ‘translated’ into useful products and services that attract the interest of policy makers, planners, and technical support agencies. This lack of uptake of current and past development investments is a missed opportunity for partner countries, international development agencies and research programs. 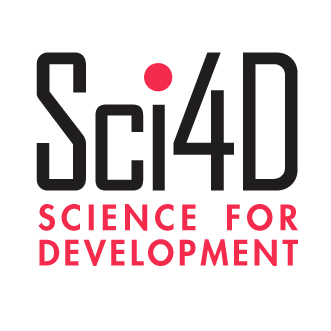 Science for Development (Sci4D) was created to bridge this gap, offering services to low and middle-income countries and international development programs. We help connect your know-how and technologies to national decision makers and development investors worldwide. This helps you engage policy makers, investors and development professionals more effectively. • Food & nutrition security. Promoting publically available new high-performing food crop varieties (cold, heat and drought tolerant; disease resistant; and higher yielding). More productive farming and food production practices. • Improved public health. Access to medicines to cure neglected diseases in low-income countries where pharma has low market potential; proven approaches to effective management of national health and research systems. • Job creation & small business. Examples and successes for small business and enterprise development. • Better environmental management. Sharing approaches and interventions to balance development and sustainability.